Last year, we threw a holiday party at our house. As with all my entertaining escapades, I bought too much food and stressed out right until the first guests arrived – and I had a drink in my hand. While I’m no Martha Stewart, I wanted to delight my guests with a signature cocktail. My husband played around and came up with a gin gimlet with lime cordial, creating a lovely green concoction. Being…well, me, I had to brand the evening’s special: We called it The Merry Grinch. **BONUS: Recipe below! Our guests clapped with glee when they walked in and saw the drink “advertised” at the bar. They lit up. My husband spent most of the night filling orders. Unexpected touches can delight and welcome your guests. Same holds true for your email list. Right now, what do your subscribers get as soon as they sign up? A robotic auto-responder? Nothing? Yawn. Just as a good host, you need to welcome people into your tribe. Delight them. Show them around. Tempt them with treats. Make them excited that they came and leave them wanting more. Give them a gift: Offer a useful and entertaining free gift just for signing up, such as a tip sheet, eBook, video series, or worksheet. Or something “on brand” for your personality. A fitness trainer offers the ultimate workout playlist. A coffee shop offers a free scone with purchase. An online store offers free shipping and a perfume gift sample on your first order. A leadership coach offers a video on how to be a more commanding speaker. Personalize your auto-responder: These folks have raised their hands to hear from you and allowed you into your inbox. Don’t waste that mindshare! 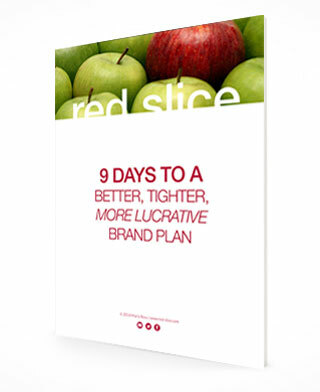 Personalize your auto-responder to further welcome them, or show off your brand personality. Act like you’re welcoming a friend over for dinner and remind then of what’s on the menu that they will love. Give them a short tour: A few days after they first sign up, schedule a follow-up message to welcome them (again) and show them around. Point them to three of your most popular blog posts, link them to your core offering, remind them to follow you on social media. They’re new around there, so don’t assume they know how to navigate your wonderful world. Ask them a question! Derek Halpern of Social Triggers shared this tip and I LOVE IT! You can engage a new subscriber and get valuable intel at the same time by asking one or two questions What would they like to see? What are they struggling with? If you’re a trainer, ask them if they have a big fitness goal or what they hate the most about exercising. If you’re a life coach, ask them what coaching style they prefer or if they’ve ever worked with one before. 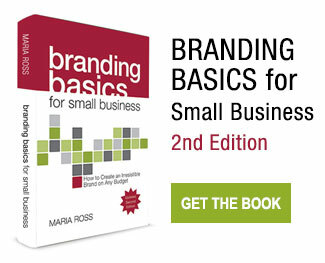 When people subscribe to my list, they get an auto-responder with a free guide and are then invited to hit REPLY to answer two questions: What is your business and what one brand-building wish would you ask your Fairy Godmother to grant? Of course not everyone responds, but those who do are super engaged and also give me great information that can add more value. Some folks have even tweeted about my auto-responders because they stand out. 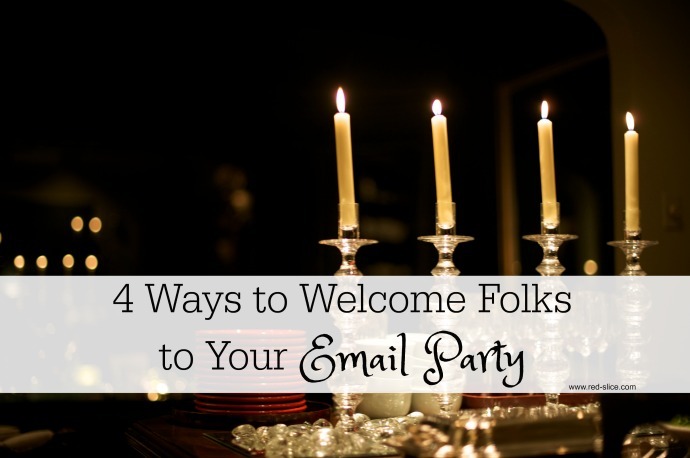 Your email subscribers have signed up to come to your party. Pour the champagne, set out the chocolate-covered strawberries, and welcome them warmly so that you get not just new subscribers but engaged fans who will remember you and spread the word. Oh, and enjoy the cocktail…..!